Practice tips. Little pain, much gain. Solution-focused counseling on physical activity. You are going to email the following Practice tips. Little pain, much gain. 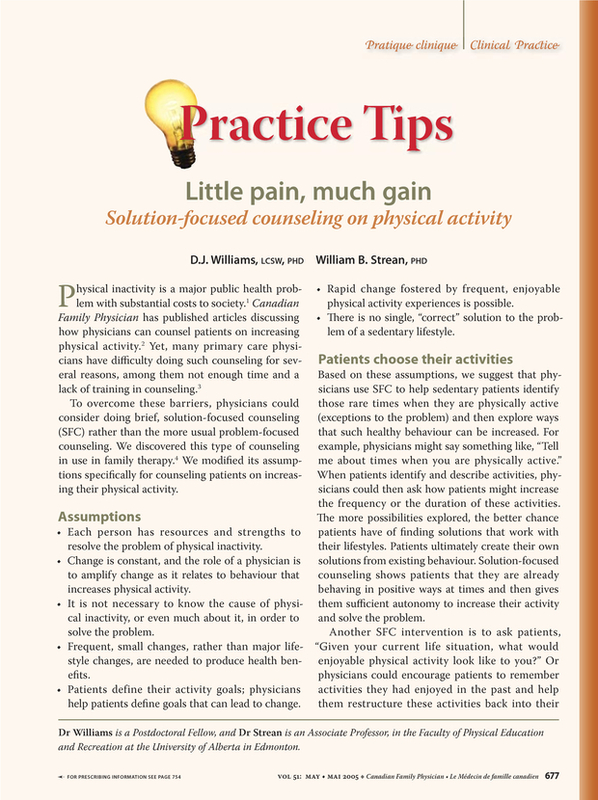 Solution-focused counseling on physical activity.